The exterior elements of your home are some of its most ciritical components. They each play a huge role in maintaining your home's curb appeal, and they provide curcial protection to the structure of your home. At Nassau Suffolk Exteriors, we offer services to help you keep every part of the exterior of your home in excellent condition so that it always has the protection that it needs from weather and the elements. We have a commitment to providing great work, and we always guarantee your saitsfaction with our products and our performance. You can always rely on our East Rockaway Exterior Services contractors to handle any job that you need for your home's roofing, windows, or siding. We have experts who are dedicated to each of the services that we offer, and they have extensive experience and expertise in their fields. From regular maintenance services to roofing, siding, or window installations, you can depend on our professionals for great workmanship and professional customer service. Call us today to schedule your appointment for Exterior Services, or to ask any questions you have about hte services we provide, and we'll be slooking forward to working with you. No other part of your home is as important as its roofing. Your roofing provides crucial protection to every part of your home, from its siding to its foundation, and if you're roofing isn't in excellent condition, then many parts of your home are left vulnerable to serious damage. Our East Rockaway exterior remodeling experts can offer any number of services to help ensure that your home's roofing is always in the best condition possible. Your siding helps to protect your home from weather and the elements, and it's one of your home's most important aesthetic features. If you need to have new siding installed, our East Rockaway siding experts can work with you to choose the perfect siding materials for your home, and we can provide you with a great installation. 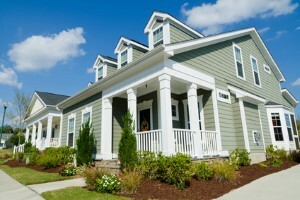 We'll also be able to offer and maintenance services or repairs that you may need for your siding. If you're looking for replacement windows, siding, or roofing services in East Rockaway, call Nassau Suffolk Exteriors at 631-462-1383, or fill out our online request form.